I launched Critter Coven on October 1st, 2016. As of Monday, Critter Coven is two years old! Creating a webcomic has been a dream of mine since Elementary School, and I know I wouldn’t have gotten this far without the amazing support and feedback I’ve been lucky enough to receive from my readers. I really am honored people like my silly witches!! Thank you all for reading, and thank you for being part of something that has made such a positive change in my life as a whole. I plan to keep bringing you Critter Coven comics for years to come!! I mentioned a few weeks ago I got a day-job at a Froyo store. Unfortunately, something was going around through my co-workers, and I got sick last week. The job itself had caused me to fall behind, and illness got me really far behind… like, no buffer behind. As such, in order to build up a comfortable buffer, I’m editing Critter Coven’s and Station: Starseed’s update schedule for the month of October. 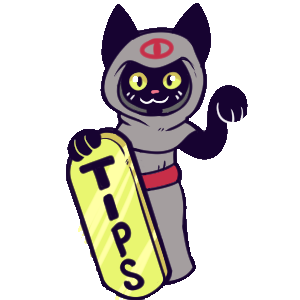 On the two skipped Wednesdays, I’m hoping to have some kind of other Critter Coven content available to hopefully tide you over. I really appreciate y’all bearing with me through the schedule changes- as I said earlier, I would have never made it this far without my supportive readers! Thank you!